Looking for attractive business signs that build your business and improve your bottom line? The right signage for your business can do just exactly that! A full-service local sign company, Mousegraphics is your local partner for impressive signage that gets your business noticed. 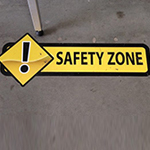 Regardless of your marketing goals or business size, we will design, manufacture, and install the attractive signage you need. From retractable tradeshow banners to towering pole signs, ADA signs to A-frames, we can create individual signage elements for business promotion or identification or an entire cohesive signage collection that highlights your brand and gets you noticed. Our dedicated staff of expert sign professionals understands the unique needs of your business and is ready to get to work on your signage project, delivering impactful signage that meets your needs, timeframe, and budget. Call Mousegraphics at (480) 894-1992 for your Free Consultation with a Business Signs Expert! To stand out in the competitive local market, you need to arm yourself with well-crafted business signage. 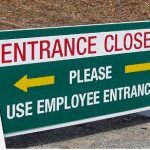 Aside from indicating your logo and business name, custom business signs provide information that your potential customers need, such as current promotions and sales, hours of operation, or ADA and accessibility information. The combination of signage that you choose for your business will not only provide information but will compel new visitors to enter and past customers to return by reinforcing your brand personality and highlighting your highest margin or most popular products and services. 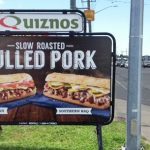 Mousegraphics is unwavering in our commitment to help small business owners grow their business by providing them with the commercial signage they need to increase their presence and visibility in an ever-growing market. 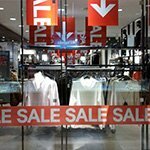 Our comprehensive range of signage services allow you to promote special deals, product launches, marketing events, and much more. We make storefront signs for businesses that introduce who you are and what you have to offer to prospective customers. We create pole signs that help you stand tall and proud and will give you plenty of advantage. 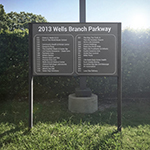 We also create monument signs that make a good first impression on first-time visitors of your establishment. 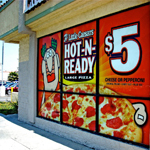 Our awning and canopy signs will not only promote your business but will also serve to provide shelter and comfort to customers. The right combination of permanent business signage and temporary promotional signage allows you to increase your visibility and ultimately jumpstart your business growth. 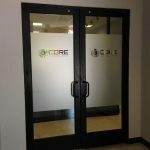 Once your storefront signage has compelled visitors to enter your facilities, your indoor signage needs to reinforce their decision to enter and provide them with the information they need to effectively navigate your facility and sell themselves on your products and services. 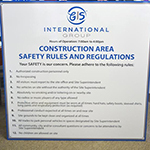 Your indoor signs may include vinyl graphics and banners, lobby signage, POP signage, ADA signs, wayfinding signage, and more. 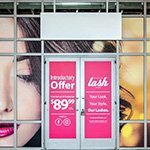 Whether you are looking for an attractive storefront promotional sign, or one to assist your customers inside your location, or even off-site, Mousegraphics has the tools, resources, and knowledge to deliver the high-impact signage your business needs. You may require new signage for special events, season changes, or new products. Whatever your needs, Mousegraphics has the ability to handle any of your signage challenges, from indoor sign and outdoor sign creation to custom signage, vehicle wraps, and more. If you are looking for a dedicated, experienced partner who will be there for you for jobs both large and small, Mousegraphics is the sign company for you. Business signs are the main way that new customers learn about your business and brand. By having attractive, professional commercial signage, you can set your business apart from everything competing for your potential customers’ attention. Whether you need to stand out from the businesses around you or simply entice customers to look up from their devices for a moment, we can help you to accomplish those goals with signage that can’t be missed. As a full-service signage provider, we handle every aspect of your signage project, including sign design, manufacturing, installation, and even repair to ensure you are sending an attractive, cohesive message to all potential visitors throughout all marketing channels. Let Mousegraphics be your complete signage provider! Call Mousegraphics at (480) 894-1992 for your Free Consultation with a Business Signage Specialist!